Dave is married to Helen and they have three young children. He has lived in Worcester, Oxford, London and Reigate. Graeme is an active member of St Mary the Virgin in Marlow Bottom and has been in post as Deanery Lay Chair for 5 years, He has been a Christian all his life and has served on PCC’s for many years. Prior to Marlow he worshipped at St John the Baptist church in Cookham Dean for over 20 years. There he served 2 terms on Deanery Synod and one on Diocesan Synod. He tries to encourage everyone to develop their own individual lay ministry, wherever that may lie. He has 4 grown up children and is an active racketball and golf player. 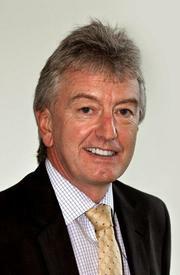 Prior to early retirement Graeme was in the IT industry for over 30 years, and was a Director of companies such as PeopleSoft, Northgate and Systems Union. ​Hugh is married to Jenny and has two children, Charlotte (nursing at St George’s Hospital, Tooting) and Kimberley (in her final year of a degree in American Theatre Studies at Rose Bruford College, Sidcup). 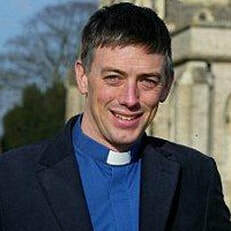 His previous role was Team Rector of the Langport Area Team Ministry. His previous career was in the RAF in which he flew operationally as a Tactical/Routine Navigator on Nimrod Maritime Reconnaissance aircraft based at Kinloss. He continues to fly light aircraft from Booker Airpark and enjoys painting and making stained-glass panels.